Goodnight Brothers has been specializing in the art of dry curing hams since 1948. Our focus is on curing, aging, de-boning, slicing and packaging country ham for the food service and retail industries. 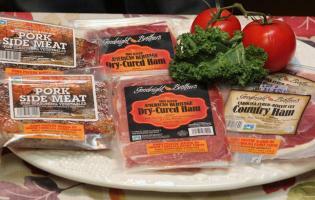 We provide our customers with over forty different cuts and numerous packaging options. We pay close attention to quality and detail by taking the traditions that have been handed down for centuries by our Appalachian forefathers and combining them with the technological advances of our modern world. It is said that the art of dry curing ham is one of the few traditions that technology has not significantly altered but has actually improved. 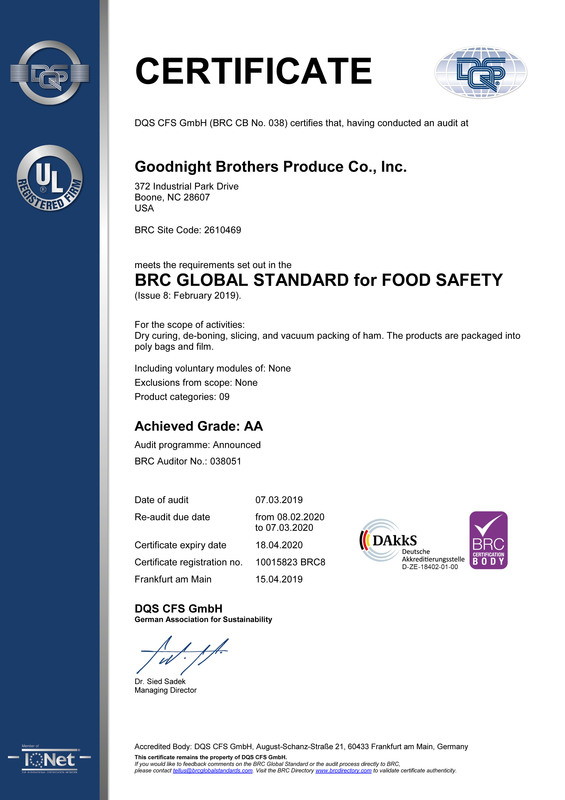 “Goodnight Brothers Country Ham is dedicated to offering our employees a friendly, clean, safe work environment with competitive wages, training and state-of-the-art equipment. When these components are combined with unmatched customer service and great supplier partnerships, it produces quality products that exceed our customers' expectations and create profitable opportunities that strengthen the dedication to our shareholders and the community"
Our all natural ham comes from free range pork raised without antibiotics and cured without nitrites except for those naturally occurring in sea salt or celery powder. 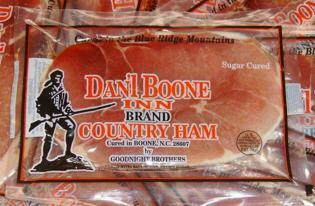 Look for our most popular country ham sold in restaurants and fine retailers all over the Southeastern United States. Goodnight Brothers have a rich, local North Carolina history of providing quality food products over eight decades.